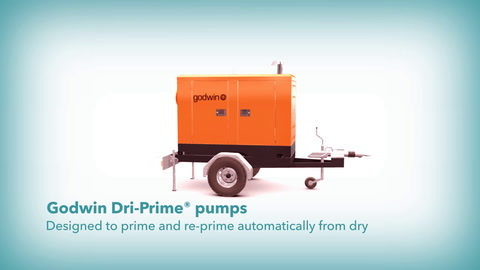 The Godwin CD150S Dri-Prime pump is a versatile, general purpose dewatering pump designed for use in the industry’s most challenging construction, municipal, industrial and emergency response applications. This rugged pump is ideally suited for tough dewatering jobs, and is the reliable choice for rental solutions. 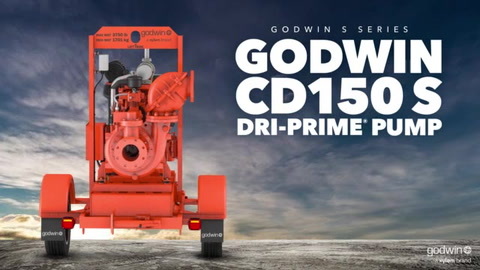 The CD150S is a member of the Godwin S Series of Smart pumps, equipped with a new generation of Field Smart Technology (FST) for remote monitoring and control. In addition to improved hydraulic efficiency, greater fuel economy, and streamlined serviceability, the CD impeller is now interchangeable with a Flygt N-Technology non-clog impeller, providing the flexibility to tackle stringy, modern wastewater applications with the same pump.